<color=red>Just sleep and earn money! You can exploit your forex account to over XXXX% profit in one year! Just 200 copies for sale! Do You Want to Gain Each and Every Month? Automatic and Unlimited Profits into your Bank Account! I am sure that you see such advertisement slogans on the internet websites. How we can understand these claims are correct or fake? To find a profitable you need to analyze various statistics such as maximum loss drawdown, profit ratios and the risk-to-reward ratio just on real account and live performance. 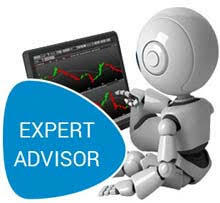 It is false idea if you think that with expert advisor you will not lose your forex trading account you can lose all of your money even with a robot that displays good statistics. You can see in expert advisors war a lot of expert advisors lose their account. Is EA back test calculable? the back test result should be the same as your real forward test with a little difference because on real account we have slippage too if the result was not same you can’t count on your expert advisor back test. How you can understand the EA result is not fake? To avoid cheats, don’t choose an Expert Advisor that isn’t tested by an independent forex monitoring websites like myfxbook or forexpeacearmy. Another factor is real account forward test I believe that the minimum acceptable forward test is 4 months don’t forget that past performance is no guarantee of future performance. Is my EA work well? Robots can’t send good signals on all market condition very well I mean trending, volatile, range-trading market if you look at their performance you can understand some time they lose because all expert adviser work according to the mathematic rules. To choose a good expert EA it’s better to understand how it work when you understand how it work you can change and customize your forex expert adviser setting according to the market condition and your knowledge. then the biggest profit factor means better risk/reward ratio. This indicator can show you how much you could earn on each trade on average. Drawdown show you how much risk on each trade the important note is most statistic websites don’t show equity drawdown they show balance drawdown some time the calculate deposit/withdrawal in drawdown stats! It shows the percentage of maximum loss recorded since the last high point. This can give you an idea of the potential drop in your account when the robot is in trouble. I highly recommend you to view the expert advisors’ equity drawdown not balance drawdown. At least I recommend you to choose an expert advisor who allow you to manage trading risk yourself with full time support and update.